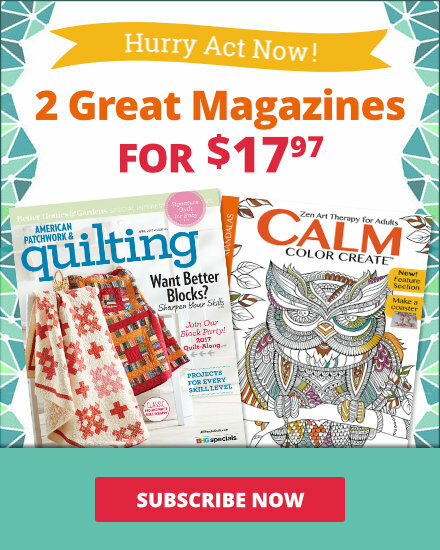 See the featured quilts and web-exclusive color options and projects from the American Patchwork & Quilting April 2018 issue -- our special 25th anniversary issue! 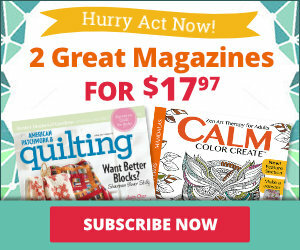 The April 2018 issue of American Patchwork & Quilting is on sale from February 6--April 3. Straight seams that look curved and high-contrast fabrics create a dynamic wavelike movement across an eye-appealing wall hanging. "The secondary diamond pattern that forms when you join the Storm at Sea units really caught my eye, so I wanted to focus on that element when I adapted the pattern into a table runner," editor Joanna Burgarino says. Churn Dash blocks and a stunning border surround an appliquéd center that uses a simple machine technique to mimic the look of hand appliqué. 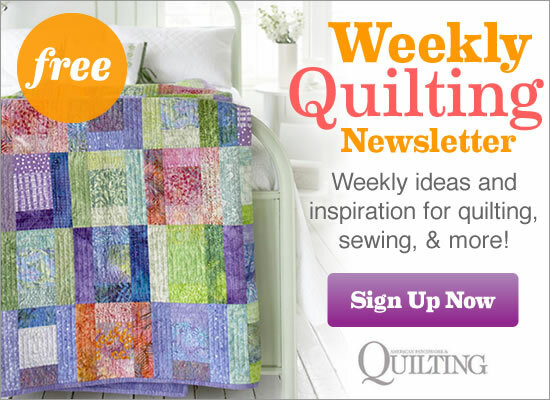 Pair fusible appliqué with classic Churn Dash blocks in a wall quilt that beckons spring. Simple steps, straight-line stitching, and strip sets allow you to create a free-form watercolor effect. For a quilt that mimics ocean waves, select dozens of batiks in sea glass colors and combine them in a bargello design. Quilts from the turn of the 20th century fueled the color choices for this project. A more recent technique—foundation piecing—ensures accurate seams and sharp points in the arcs. Solid fabrics in an uncommon color palette turn a foundation-pieced throw into a fresh addition to your decor. For an on-the-go project, stitch a bevy of yo-yos and secure them to strips. 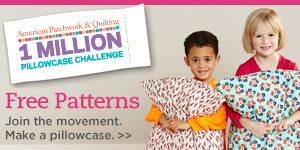 Join the strips to make a head-turning quilt filled with playful pops of color. Scrappy quilts don’t have to be made from fabrics that compete for attention. Learn the tricks to low-volume quilts from one designer’s experiment. "When viewed from a distance, tone-on-tone fabrics appear to be solid. As you get closer, you can see the prints,” quilt tester Monique Dillard says. “Using solid black really makes the colors pop." Add Log Cabin-like borders to two edges of Maple Leaf units for scrappy pieced blocks that can be twisted and turned into a cozy, mazelike throw. "To take this pattern from a fall quilt to an everyday quilt, I skipped the pieced Maple Leaf units and instead used a bright burst of solid yellow for the block centers," audience insights manager Lindsay Mayland says. "An assorted group of black, gray, and white prints still gives a scrappy look but in a limited color palette." Here’s a sweet flannel quilt suitable for your favorite little one. The simple appliqué is an updated take on old-fashioned pull toys. "Instead of the duck appliqués, I fussy-cut a bouquet of flowers from a large-scale floral print," quilt tester Martha Gamm says. "The red and green ginghams and small florals add to the romantic feel of this version of Just Ducky." The cool colors and organic motifs of batiks give a contemporary throw a calming vibe. 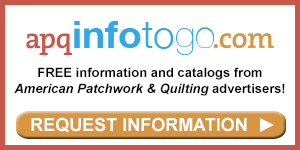 Horizontal rows of stitches flow like rivers across the quilt, adding to its serene feeling. "The juxtaposition of modern design and traditional fabrics has always intrigued me," group editor Jody Sanders says. "I used the same print for the small squares in each pieced block to give a sense of cohesiveness." Gain experience setting in seams when re-creating an antique throw. It’s a great project for using the many fabric scraps you’ve saved. Orange stars shine between gray hexagons in an asymmetrical table topper.